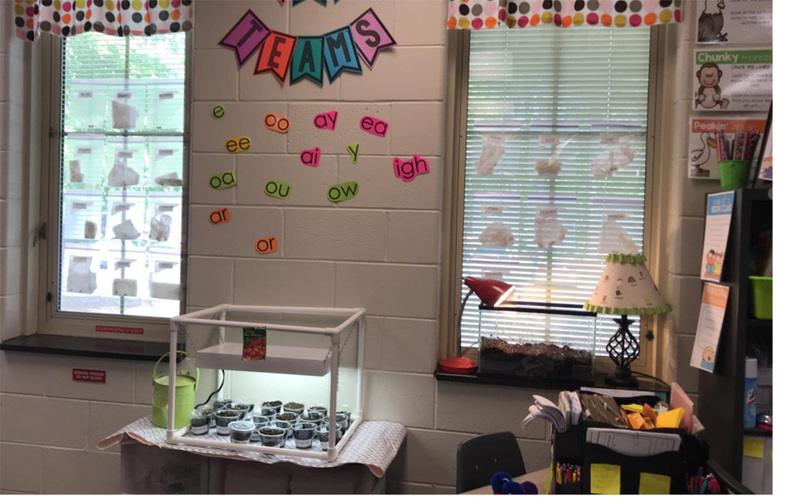 Planting the seeds for learning at DIS! Several students at Daniel Island School took part in Earth Day-related activities last week. 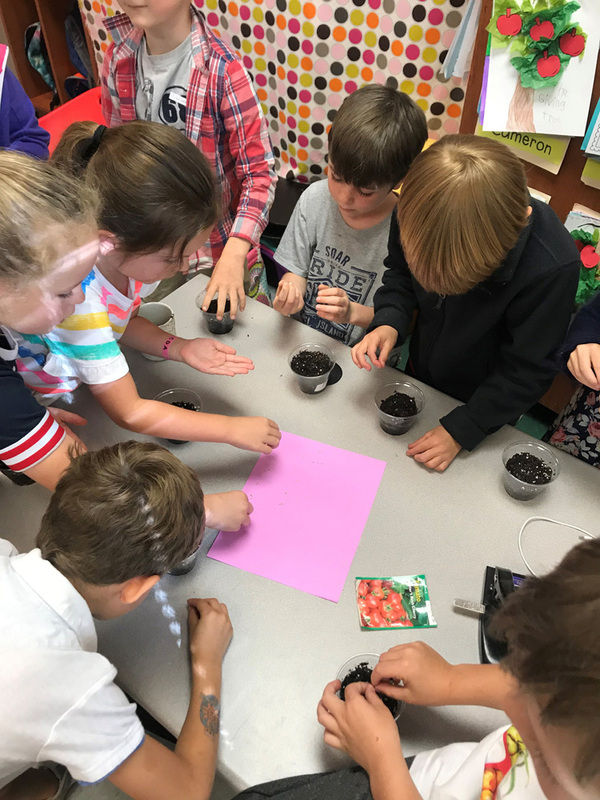 Pictured here, first graders in Diana Allbritton’s class work on planting a variety of vegetables in their classroom’s indoor garden. As part of an Earth Day challenge, Ms. Diana Allbritton’s first grade class at Daniel Island School recently dug into some lessons on the environment. The students planted five types of vegetables. 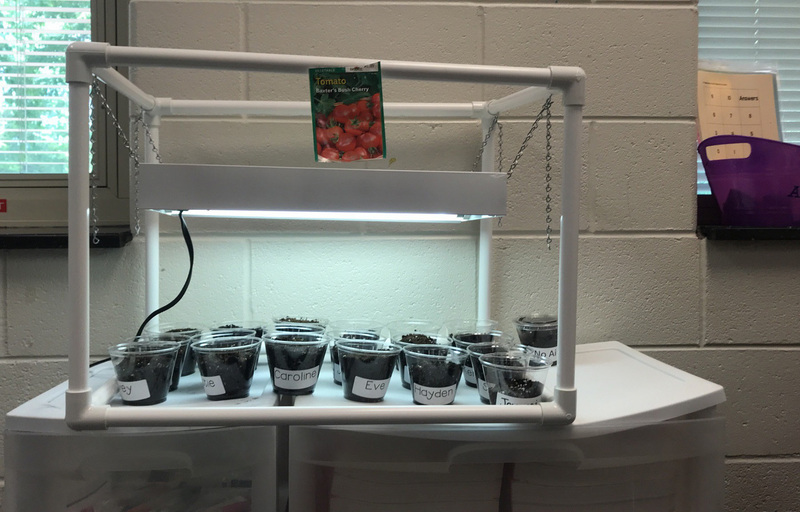 Each student planted tomato seeds and the class planted collards, cilantro, radishes and chard for their classroom’s indoor garden. As part of other Earth Day-related activities at DIS, kindergartners conducted a book swap to reuse old items, made journals from cereal boxes to reduce trash and enjoyed a picnic in which they were challenged to pack lunches using only compostable materials! Additionally, fifth grade art and GTT classes partnered together on projects to bring awareness to ocean “garbage patches,” using only recyclable materials and single-use plastics to create sculptures.